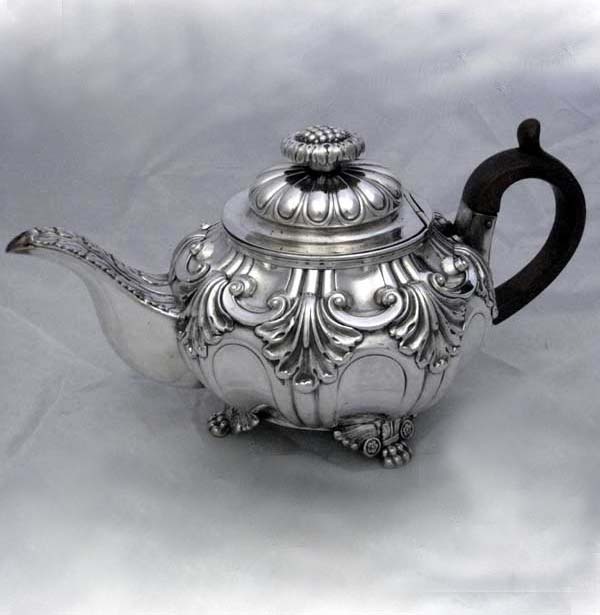 An excellent example of an Old Sheffield Plate teapot in Rococo design, circa 1800. This has all the original silver in place and is in very good condition overall. There is no mark which is typical of Old Sheffied Plate but from the style and craftmanship we believe it was made in Sheffeild around the turn of the 18th Century. Very few remain of this quality and condition outside museums and clearly is a long term investment as well as an item to cherish.